Yesterday Mario dropped off a few more painted parts. He brought over the slam tray, front bumper support, window triangles, and the hood hinges. 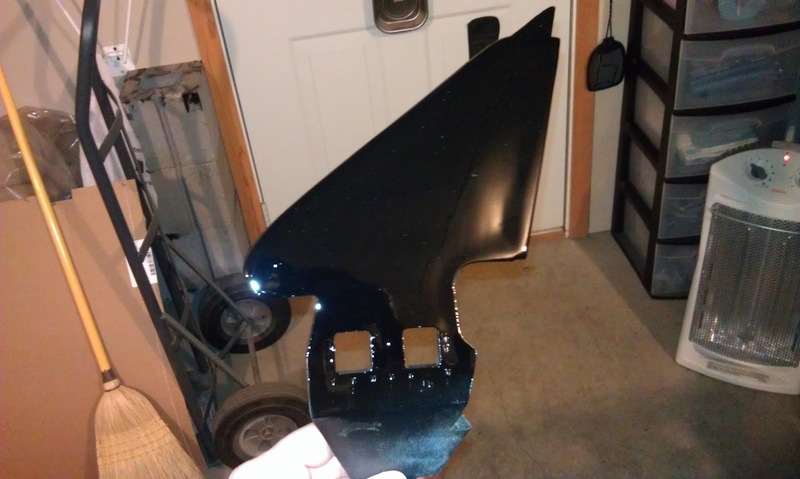 The front bumper support has already been modified to accept KITT's scanner. 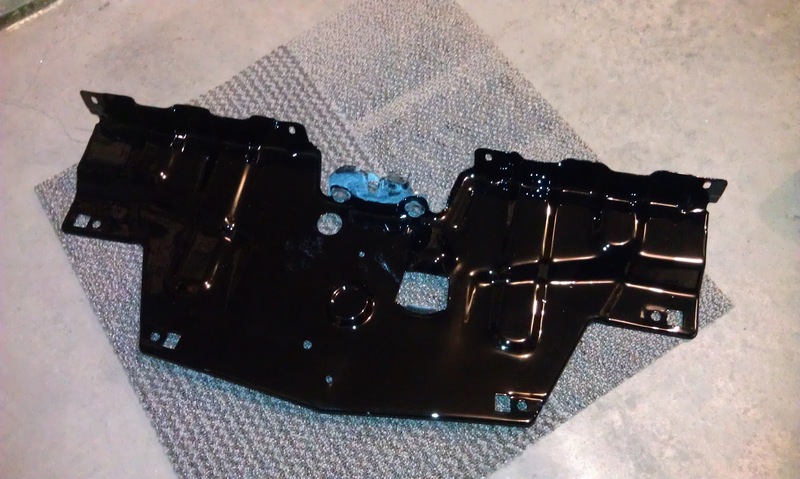 It is really exciting seeing all these parts coming back finished in black! Here is the slam tray. 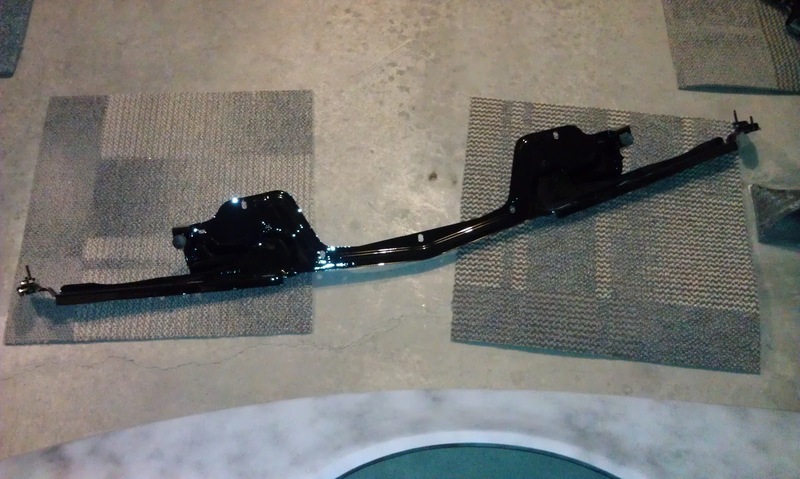 Here is the front bumper support. 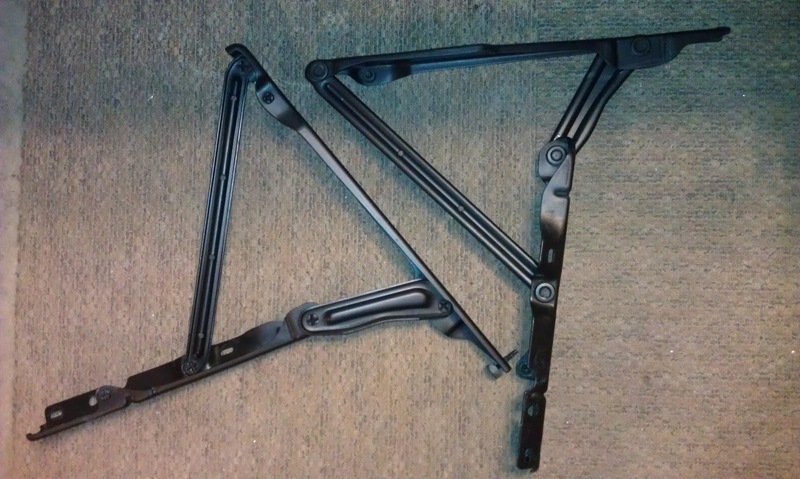 Here are the window triangles. Here is one of the window triangles up close. 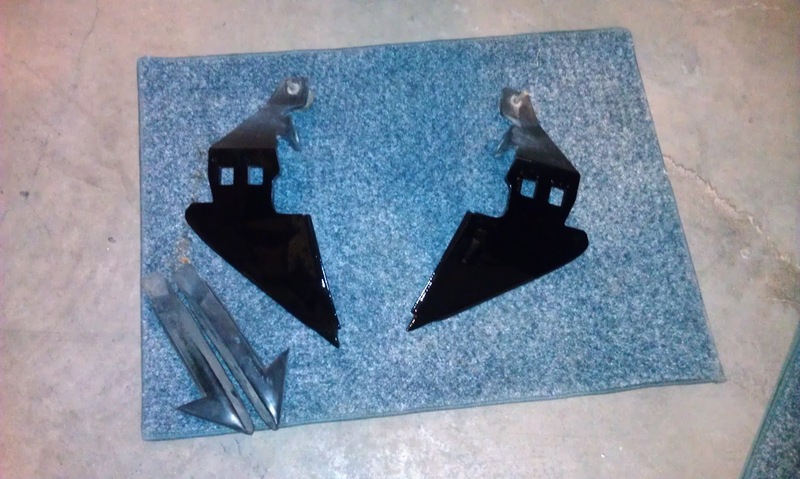 Here are the hood hinges painted in satin black.